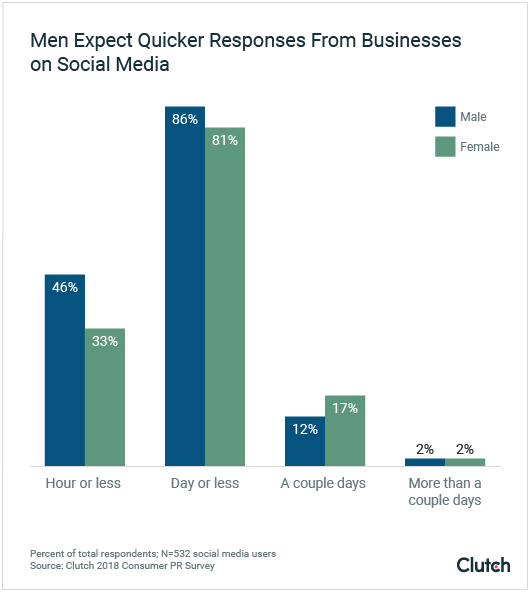 Most people expect brands to respond to comments on social media within 24 hours, according to a new survey from Clutch, a B2B ratings and reviews firm. 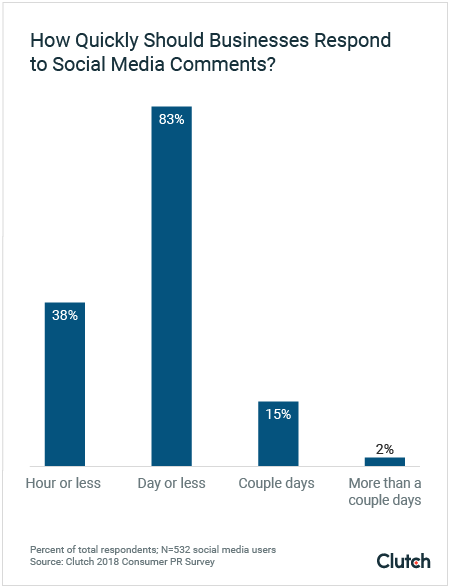 Eighty-three percent (83%) of people expect companies to respond to social media comments within a day or less. 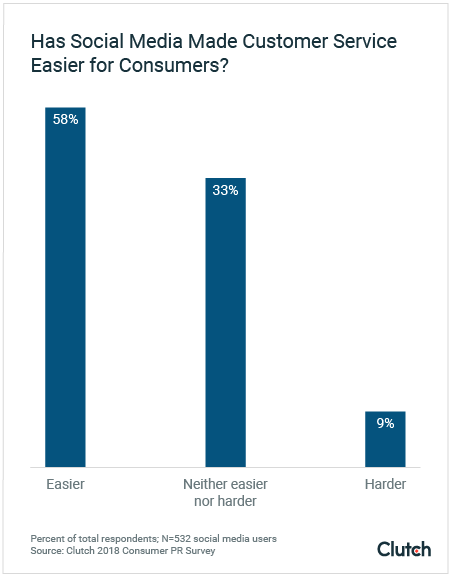 Consumers expect businesses to keep up in an age of instant communication. 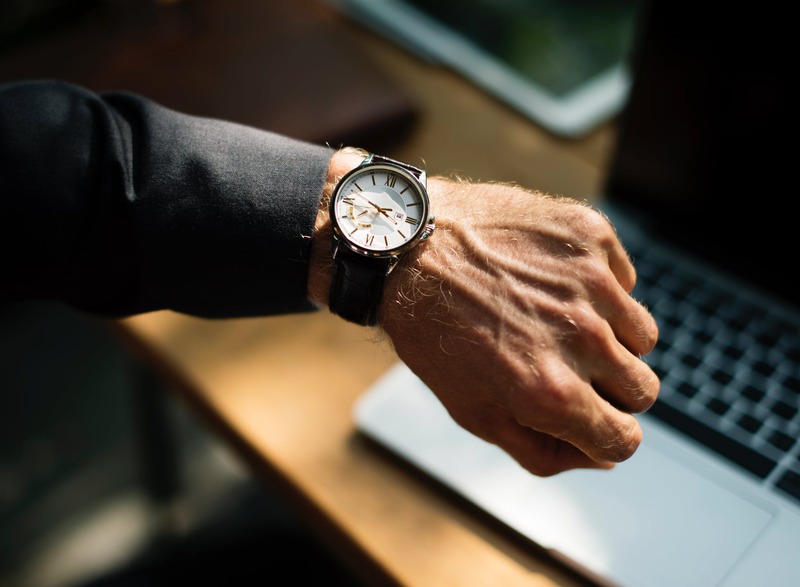 Although people expect a quick response, they don’t necessarily expect an immediate fix. Millennials grew up with social media and therefore have higher expectations of brands on social media. 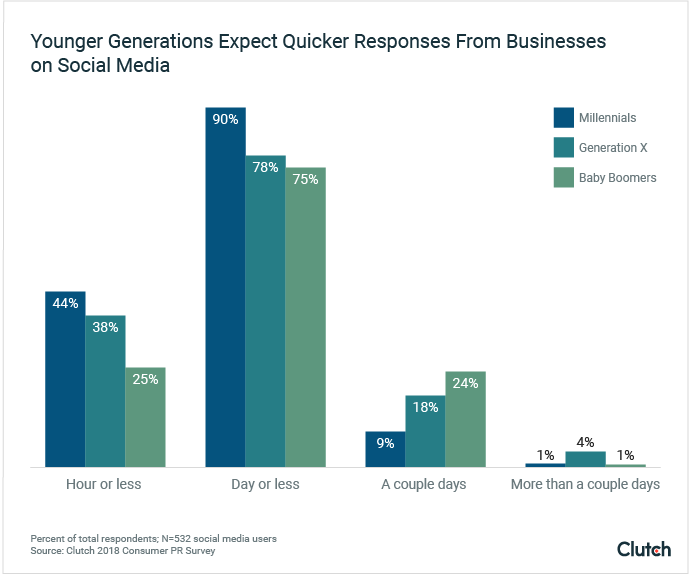 Ninety percent (90%) of millennials expect brands to respond to comments on social media within a day or less, and 44% expect brands to respond within an hour or less. It’s important for brands to engage with criticism online. Nearly half of people (45%) say they would view a brand more positively if it responded to negative comments on social media. “Being able to show the way that your business responds in a crisis is actually helpful because customers get reassurance that if something goes wrong, your business will take care of them,” said Melina Palmer, a behavioral economist and founder of The Brainy Business. 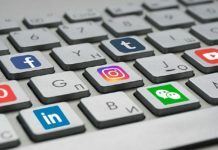 Social media gives power to both consumers and businesses. 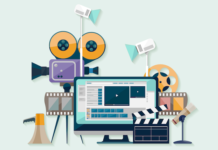 Clutch’s 2018 Social Media PR Survey included 532 people in the U.S. who use social media at least once per week.